Yoga therapy, derived from the Yoga tradition of Patanjali and the Ayurvedic system of health care refers to the adaptation and application of Yogic techniques and practices to help individuals facing health challenges at any level manage their condition, reduce symptoms, restore balance, increase vitality, and improve day-day living. 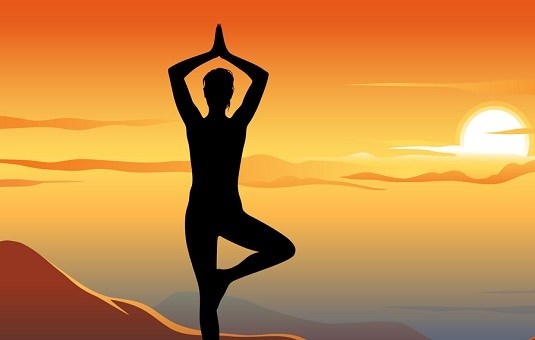 It refers to specific regimens of Diet/Routine Chart- Yogic routine, Asanas- Yoga postures, Pranayamas- breathing exercises, and Dhyana- meditation , relaxation techniques to suit individual needs. Yoga therapy with Pundit Ji aims at the holistic treatment of various kinds of psychological or somatic dysfunctions ranging from back problems to emotional distress. 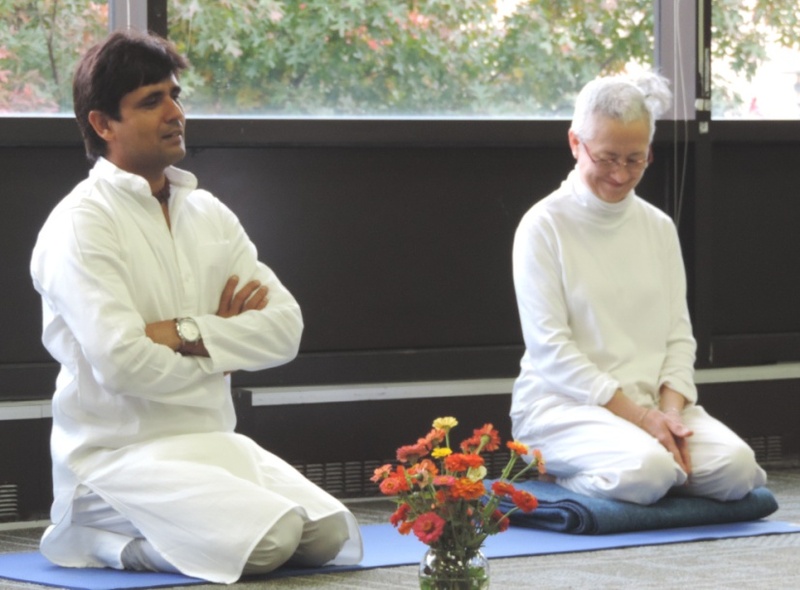 Yoga therapy is typically conducted in one-on-one session more closely resembles to an appointment with Pundit Ji. What sets this healing modality apart from others is the focus on linking movement to deep, rhythmic breathing. Another difference is the emphasis on relaxation. In fact, when someone is gravely ill, Pundit Ji may suggest that the entire practice consist only of breath awareness and relaxation until the patient is ready to tackle more. This adds a personal humane touch to it adding the speedy recovery of the patient. What is One to One Personal Session? Receiving a guided personnel session is the most focused way to experience the benefits of Yoga immediately. 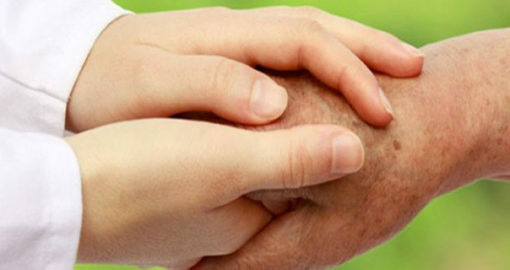 We offer sessions for all diseases/disorders/Health problems etc. 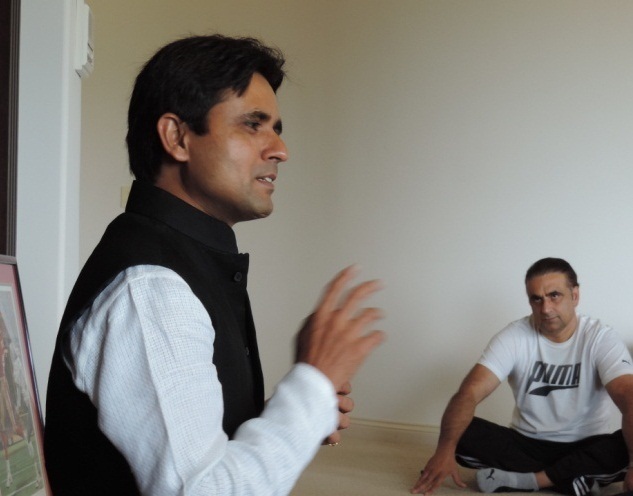 In a one-to-one session, you are guided through custom made yogic program for you, charting a special yogic routine for you.. During the session Pundit Ji takes you through the process with Dos and Don’ts suggestions while deeply understanding your problem areas and giving it a proper shape to come out of it naturally. Sessions can be done by phone/online/ in-person. Most people have their guided personnel sessions by phone. You’ll be able to book your session online, and choose a time and day that works for you. You can bring to the session any health problem/ issue where you would like to experience change, including any disease and disorder along with mental problems like depression, stress, anxiety, insomnia, psychosomatic disorders and nervous disorders. During the session Pundit Ji will ask you numerous questions to get a clear/better idea of your problem with the help of a questionnaire you need to fill along with registration form. You can expect to feel deeply understood, with your concerns and your issues at the center of the session. a sense of relief and clarity about your problem and your forward steps. a greater ability to be compassionate to yourself along with skilled hands with you always to guide further. a paradigm shift in how to live a healthy life with just few conscious easy steps. Gives new possibilities with your body and fresh energy to move forward. Depending on your situation, it is possible you may be able to use your own(Custom made) video. However, most people who want to continue either have more sessions or sign up for a Level Two Session. You are welcome to have a series of sessions to enable you to experience the benefits of Focusing with support. Pundit Ji’s guided sessions are therapy based coaching sessions and have therapeutic benefits if practiced religiously and sincerely. You will be able to deepen your process and your inner being over a series of sessions. 1. Register using the link given below. 2. Update your details such as Name, email, phone, address. 3. Select your Yoga Value pack. 4. Check out and pay to our account by bank transfer in account in USA or in India. Please transfer the fee to one of the following accounts through net banking or deposit(Cash/Check) the same to the corresponding bank, any branch in your city. We are in process in setting the secured Paypal and other gateways, which will take few weeks. 5. UYLS will acknowledge your registration and will communicate with you through mail, once the fees is paid. 6. Fill your Health Profile in given linked form. 7. Pundit Ji will understand your profile and work out a Yogic routine suitable for you to work towards your health goals. 8. In case more clarity is required a personalized questionnaire would be sent to you by Pundit Ji to understand the problem deeply. 9. Your convenient time for the Skype/phone appointment with Pundit Ji would be scheduled after speaking to you by Our Yoga Therapy coordinator. 10. You may upgrade the sessions with additional payment; we will upgrade your program. Disclaimer: Any liability, loss, damage in connection with this Chart/practices and its instructions including but not limited to any liability, loss or damage arising from the following of chart/ practices or any advice or information provided by Pt Radheshyam Mishra.